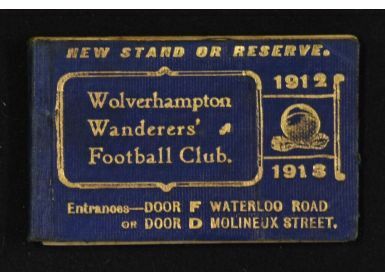 Scarce 1912/13 Wolverhampton Wanderers season ticket complete with fixture lists, 4 match tickets still intact, instructions are for ‘the tickets to be torn out in the presence of the Checker’. 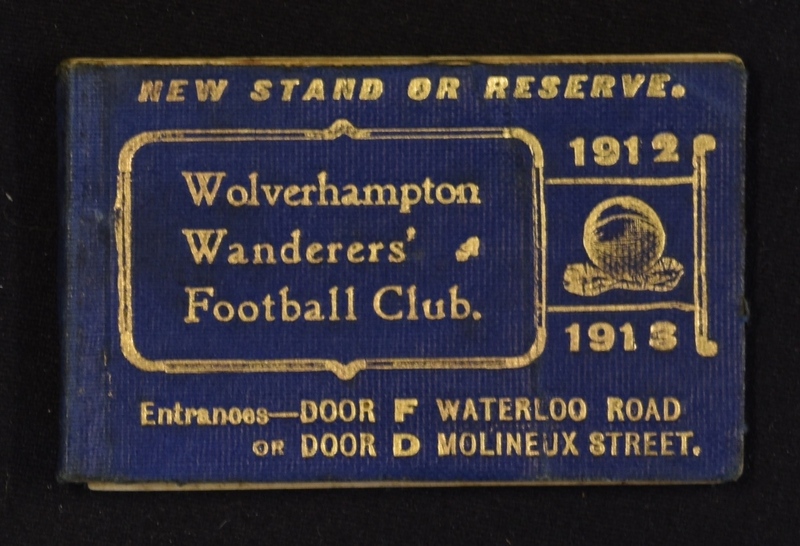 Entrance to the New Stand to be Waterloo Road or Molineux Street. Good.